I just found out that after everything that happened last summer NWWRF will be still having there festival the last weekend of July in 2014. I have been told it is at an amazing venue in Portland. What are peoples thoughts about supporting this festival next summer?? Last summer was such a dissapointment it would be hard to support NWWRF. I was shocked that they are returning for 2014, I can say that two of my all time favorite Midnite sets were at this festival in 2008 and 2011 though. That festival was the biggest let down of last summer. The damage is done. Unless there are some 100% confirmed big (huge) named acts, I am out. Oregon needs to get their sh$t together. You might want to change the name of the festival due to negative name recognition. Keep in mind that even if they put the biggest headliners in the world on the bill 3 of the 5 headliners didnt perform there last year and they were all at the venue waiting to! Jahdan Blackamoore saved the festival last summer IMHO. Not sure if he got paid or played for free but his set was wickid! One of the few highlights last summer. I agree with Westafari that someone in Oregon needs to step up and get a successful festival together. NWWRF used to be amazing but sadly has been going downhill and last year really hurt the festival scene here in Oregon. Interesting. On the NWWRF facebook page, all the posts between the dates of July 20th and August 15th have been deleted. The festival took place from July 25th-28th. When the line-up and ticket information posts on FB, I will make sure to remind everyone in the world to be extremely skeptical of this festival. Buy your tickets at the door. Regardless of who is on the lineup, how cheap the tickets are or any of that personally I would say DO NOT support this festival.. I wish the best for everyone that makes an effort to bring quality music to any area of the world but from personal experience, which I would be happy to share with anyone but wont get into on here, you cant trust them to deliver anything they advertise so save your money and spend it somewhere you can. Lets not also forget 2 years ago when Saturday was left without music for nearly 4 hours right in the middle of the day with no explanation just like last year when the MCs, all due respect to them, kept coming and and saying things like "up next Kabaka Pyramid" when they had made it clear that he wasnt performing.. Big up DJ Crown of Brimstone sounds for DJing for like 4 hours while everyone was wondering what was happening. And @Rossta yes Jahdan killed it on Friday night. Edited 1 time(s). Last edit at 11/20/2013 03:57AM by rossta8888. you can show up the same day and have the artist be there and the show still doesn't happen. There is literally no assurances that the show will take place. No offense intended but LINE UP SUBJECT TO CHANGE doesn't really apply here. Basically a lot of people (not me, I got in for free) lost money last year. The artist lost a few great dates. Anyone who paid for the show on Saturday got robbed. Anyone who payed for gas and food to get there was deceived. I just don't see how it is even possible that any artist worth anything would sign a contract with this show AND this is only last year. Power cut out on the headliners the year before, not once but several times. Duane Stephenson couldn't get through his set without crazy sound spikes. I have supported this festival in the face of opposition for years and many here can attest to me hyping this fest even though there were many rumors of shady business going on. I can no longer. I brought people who would otherwise never have gone and how does that make me look? PS no trash service or recycling in the bowl? This is not what take out what you bring is supposed to mean. You buy a slice and you have to carry the plate for the next 4 hours? As they say on NFL Countdown.. COME ON MAN! Edited 1 time(s). Last edit at 11/21/2013 10:18AM by Ras Danny. Hey Ras D! I am sure that Jahdan would not want to go back to NWWRF, but he would be a great act at SNWMF! I was not familiar with him at all until he got booked to play NWWRF last summer. I purchased Babylon Nightmare, the only other works I could find was with Noble Society, I believe that was the name, more like hip hop to me. Babylon Nightmare is a really amazing album! He wrote some Snoop Lion lyrics too if I remember right. Anyone know of any other Jahdan albums?? Great post Ninja, I seem to have a short memory when it comes to reggae. I had already forgotten about 2 years ago with the power issues, it was not just last summer it has been going on for a few years now. Check Project Groundation. They have some nice mixes featuring Jahdan and Noble Society. Forward Blackamore fuhreal!!!! Thank you East Bay Herbalist, I will check that album out. Big single / video set for early next year release...."For the Children" by Jahdan Blakkamoore and Kabaka Pyramid...on "Junction" riddim (which we also drop on LK next year). Awesome to hear Lustre Kings! Thanks for the info on those albums. Keep us updated on your new works with Jahdan! On a soccer note Glory Glory Man Utd. Sorry Lustre Kings couldn't help it. After what I heard about last year and what I experienced the year before, I cannot believe anybody would waste their time or money on this rip-off event. These jokers are really hurting the Reggae scene up here in Oregon. Well it looks as if they are only a 2 day festival rather than a 3 day like in previous years. A scaled down event may provide for much better experience for the promoter and the patrons. Maybe if they scale it down to 2 hours, it won't be a major clusterf%^$^%. Dude, they were a 2-day festival last year and it was their worst disaster ever! The fact is after 7 years of doing this, the festival has just gotten worse every year for the last 3 years. There is no way in hell I am going to waste time and money finding our how much worse it can get, I'll use my inagination. Edited 1 time(s). Last edit at 01/28/2014 10:19PM by Jah Mike. agreed Jah Mike, the festival got worse every year, plus the guy who runs it is not a good person and was a coward about the whole thing last year. He would tell us as we were waiting for music that the artists did not show up only to find out the artists were there waiting to get paid to perform. Some played for free, but there is no way I would ever support this festival again unless the guy running it is GONE. Do yourself & the reggae community a favor and DO NOT SUPPORT THIS FESTIVAL & THE PEOPLE WHO RUN IT. If its anything like it has been the last 2 years you will highly regret it..
Ok Ok I get it. My sis just moved up to Portland, not that I need an excuse to drive up and see her but if there was any chance of a little vibes then it wouldn't hurt. I'll take your advice. we will certainly have some tings going down in PDX this time of year. I think if they had it at a different venue I might go. Oregon isn't the problem, it's the private land owner that has hosted the festival. He's gotten greedy and forgotten what it's all about. Take him out of the picture and there might be some turnaround on the event. Last year was pretty awful. I'd like to see a successful reggae festival get it's roots set in here in Oregon somewhere. We definitely have the clientel to support it if it's worth the $$ we're putting out. It's not the landowner that wasn't paying people last year and it wasn't the landowner that couldn't keep the sound system going the year before. Just changing the venue will improve nothing. New people need to be running it. nwwrf is a couple of CRAZY folk who think what they are doing is golden and untouched by any blemish from their own hand. delusional. in their own bubble. everybody else involved was/is to blame for their troubles! "SYNRGY, Sol Seed, Gypsy Roots Dance and Paapa Wastik are just some groups I am speaking to regularly that have not been payed a cent for their performances (which were agreed to by contract), OVER 7 MONTHS LATER..."
Is there any lawsuits in the works? If they broke the contract they should be sued, and that just might be the only way to get it through their thick skulls. I wonder how many of those artists will actually play, assuming they can put together a functioning sound system. Considering their history, I would take any announcements coming from these people with a huge grain of salt. Queen Makeda, a fellow teacher, and her crew was never paid fully either. I wonder if they paid their hotel bill yet either?? Let me get this straight: this festival hasn't paid multiple artists from last year's festival, and now they are announcing artists and headliners for this year's festival? What am I missing here? NWWRF LLC is a business and the festival is what it does. To pay the bills and move ahead we have planed and are moving forward with the business. As with any other business, the business pays the debits it has by continuing to provide products and services. What business do U know of that does not have to keep going to pay off its debits? ?The only other choice would be bankruptcy (and no one would get paid). And when a business is stolen from in the way NWWRF was last year (over $30K), it is the only choice we have. I have put in as much as I can and now it time for the Business to do the rest. We are on much better footing this year then we have been in years - without all the folks who were responsible for the cheating, lying, misinformation and stealing that has gone on for the last three years. (U know who U are) We have put together a first rate management and production team along with moving to our new location near Astoria, Oregon. Come and see what we can do with our new team and our great new location. You would think one would be "on much better footing" after pocketing 30k..
HiGrade1 has it right. 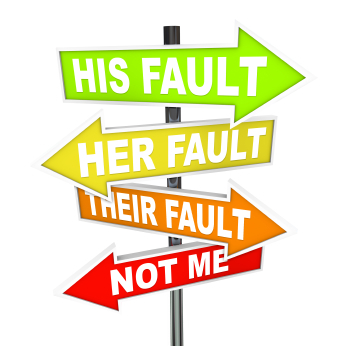 We've been hearing for years that its always someone else's fault and not the guy who is running the show. The sooner this clown is put out of business the better the Oregon Reggae scene will be. Go ahead and throw away your money if you want. You have been warned. This whole thing stinks like last week's fish... from the head to the tail. Ol' Dougie's 'splanation is weak-sauce seeking to beguile the massive into participating just one more time based on the hope that this fresh batch of Kool-Aid will entice the thirsty to reach for that poisonous brew once again. @Doug - time to pack it in. You've spoiled the soil - nothing you plant will grow. Or does your next iteration of the 2014 NWWRF lineup include Bob Marley, Jacob Miller, and Joseph Hill?!? Just to let U all know I have never taken a penny out of NWWRF - And have been paying off last year out of my own money. This is in no way like Reggae Rising, this is and has been our festival, other people have tried to steal it but we will not let that happen. U can all set here behind your hidden emails and fake names but I will stand here in the open and move forward, bringing positive roots music to the great Northwest. I will never understand why this community sides with the thieves and not the one who has been stolen from. We have had it all from fake owners, fake press releases sent out to ticket scalping and huge unauthorized guest lists. I hope U will all hold your comments and watch what happens this year. The show is looking great and all of the acts will be paid , perform on time and with no delays. Edited 1 time(s). Last edit at 03/04/2014 08:08PM by NWWRF Doug. Edited 1 time(s). Last edit at 03/11/2014 03:46PM by rossta8888. Edited 3 time(s). Last edit at 03/11/2014 03:48PM by rossta8888. U have bad info Tyler Ross- U may call Preston if U would like. I would be careful what lies U are spreading. The above statement was, amazingly, typed without any awareness of the irony contained within. For what it is worth, I had level business dealings with Doug in my experience. Contracts were signed, everyone I worked with was paid per the agreement and we performed as promised 2 years in a row. When I saw the signs that things were not going to work appropriately for a 3rd year, I pulled out in advance and redirected my service contacts to the next person as to not hinder the festival or those who are willing to gamble their time and money. Preston did clarify that Midnite is under contract for NWWRF, I do not want to spread lies so I am writing this post. Bless up all. Edited 1 time(s). Last edit at 04/08/2014 11:17PM by mulligan. Are tickets actually selling to this festival??? It would be fun to see the results. It might be fun to see the results, but only from a distance. If they sell over a hundred tickests it will be a vindication of P. T. Barnum. Def. from a long distance. Good call. or maybe he doesn't care? Edited 1 time(s). Last edit at 07/25/2014 04:53PM by Ras Danny. Funny to see Midnite is booked for a West Coast Tour, wasnt that his biggest selling point this year that it was their only West Coast show? Would love to see a thriving reggae festival in the North West... Can we just let this one pass so we can start a new one? Did the artists get paid and perform last night? How many people showed up? Is the festival going on today as advertised? That article was, as they say, just Wow! Artists not being paid again this year! Fool me once shame on u, fool me twice shame on me, fool me five times, run that pos outta the biz! I was expecting another disaster.........actually I had a really nice time. The site was real nice, the music was great, Reggae Bubblers and Don Carlos both put on nice sets. We had fun all weekend...seemed like Midnight played for a full 4 hours friday. Weather was cool, sunny and in the 60's-70's. Midnite played for 4 hours?! So that means 3 whole bass lines. lmfao! I would have asked for a refund at that point. Everyone who was at NWWRF was blown away by Midnite! They were the talk of the whole weekend! 4 plus of hours of awesome reggae music! No refund needed as everyone who attended was very very very happy! Midnite for 4 hours .. Nap time for everyone at the festival..
Not everyone, just those natually sleepy folks who cannot understand the Midnite phenomenom. What phenomenon??? What are u on..
Midnite is boring. No thanks. Sorry, friend, I can't help you. You either get it or you don't. Saw they are posting that it is happening in 2015 and the Mighty Diamonds are the main headliner. THey wont get my business this year as I should not have gone last year but Midnite was there and I am a sucker for all things Midnite. $100 says its the Mighty Diamonds without Tabby. well, sounds like he an thug corny should get along like gangbusters!